I imagine that most of you think that here at TRiCKETT HQ all we do is drink tea, talk about American sport and eat biscuits. For the most part you definitely wouldn’t be wrong. However, when we do work, we work to try and find the best people in the UK, USA and Canada who make things. Sometimes it takes ages, sometimes it’s very quick and sometimes it’s luck. Our new hoodie is what we would term as a labour of love. 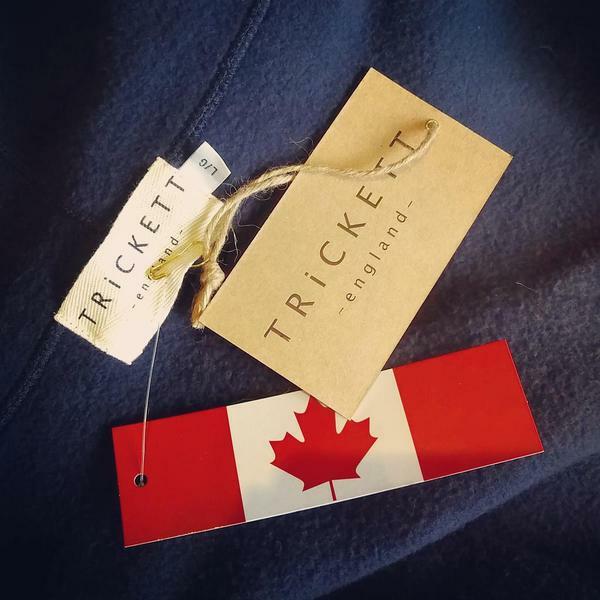 We have wanted to make sweatshirts in Canada for what feels like years and we just never quite got what we wanted. 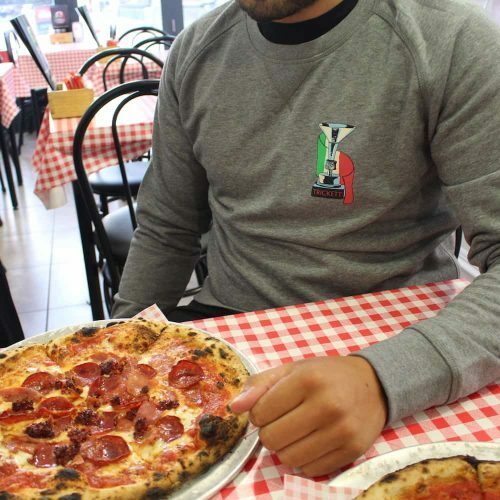 If you aren’t in the know when it comes to sweatshirts, Canada has a long heritage of making some of the heaviest and well made sweats on the planet. Good eh? Well today we got a finished article, something that we are very proud of and we think perfectly encapsulates what we as a brand are about. Our Esposito hoodie is made from super heavy 20oz (560g in new money) navy cotton fleece (as in sweatshirt fabric not that weird stuff that walkers wear… I said walkers) with a heavy duty zip, side panels, applique felt T embroidery and is cut in the traditional way. This means it is a little bit boxier, but by no means huge. It is not too long that you end up looking like a fashion faux pas toast head and not too short that you look like an ’80s roller skater / ’90s rapper… look him up. Everyone loves a hoody, you can pretend all you want, say that you’re too old, convince yourself that only ‘yoots’ wear hoodies, but it simply isn’t the case. Pop one on, lounge around or go for a jog. This will serve you well.